We have a great lineup of book signings on tap for you this weekend! 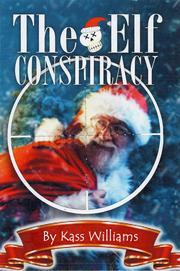 First up, Kass Williams will be here on Saturday, November 19 from 11:00am to 1:00pm to sign copies of her new novel The Elf Conspiracy. 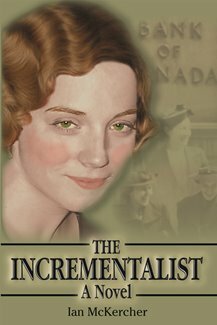 Later on November 19, Ian McKercher will be on hand from 1:00pm to 3:00pm signing his new novel (and the sequel to The Underling) The Incrementalist. A truly Canadian story, this novel follows Frances McFadden as she tries to come to grips with her new position among the upper echelons of the Bank of Canada as the country goes to war. 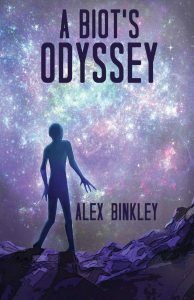 Local sci-fi author, Alex Binkley will be in the store from 1:30pm to 3:30pm on Sunday, November 20 to launch his new book A Biot’s Odyssey, the sequel to Humanity’s Saving Grace. Binkley continues the story of a biological robot named Genghis, who became a hero to both humans and Beings thanks to his role in the Nameless War. Now, charged with a new task and with the help of Wood, a maverick robot, Genghis sets off on a new adventure through the stars.